Vicki has been braiding rugs for 27 years. 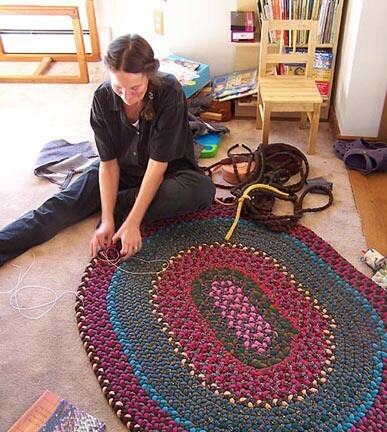 She learned to braid rugs in the traditional way - from an older rug-braider. She is a charter member of the Cody Rug Guild and has demonstrated rug-making at the Buffalo Bill Historical Center frontier festival in Cody and at the Yellowstone Folk Festival in Billings. She has taught rug-braiding classes at Dancing Bear Folk Center.